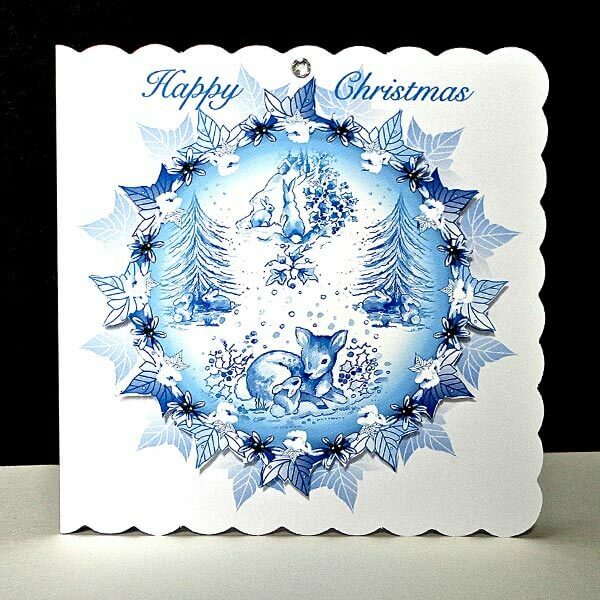 The Magical White Christmas card is a circular snap-shot of a toile showing young wild animals in the snow. 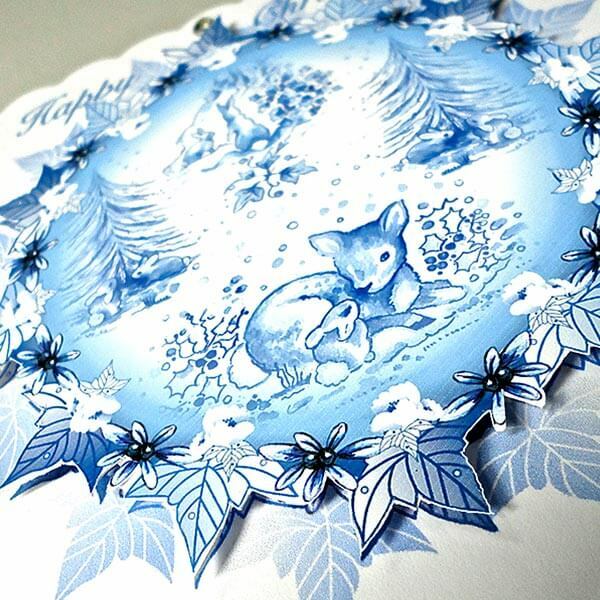 These pretty little intimate animal scenes in blue show a small “Bambi-like” deer sitting in the snow among the holly bushes with a tiny bunny for company. The other members of the rabbit family play around the Christmas trees, whilst Mum gazes into the distant snowy landscape. 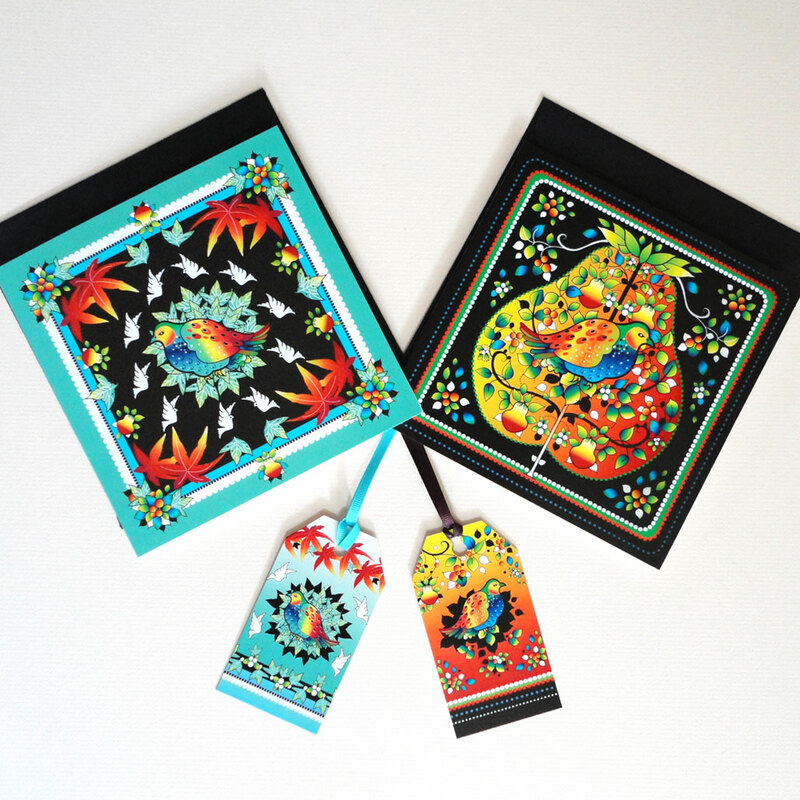 These small scenes are sketched, then painted in the soft tones of blue water-colour, and placed in a gradient circle of blue created in Illustrator. The hand-drawn leaves and Christmas roses are transformed into perfect shapes too; the clusters of berries remain in their hand-painted form, providing a contrast in this festive garland. 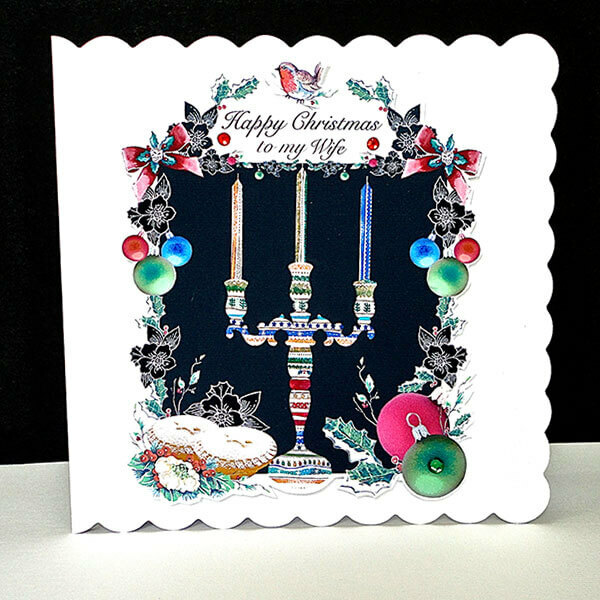 This design is also available personalized with ‘Daughter’, on a larger card. 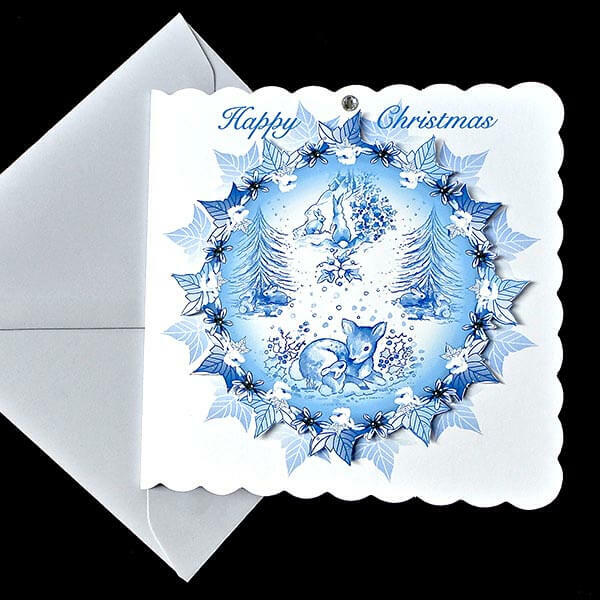 If you like this Christmas Toile, take a look at the ‘Christmas Cat Toile Card’ in seasonal a red! 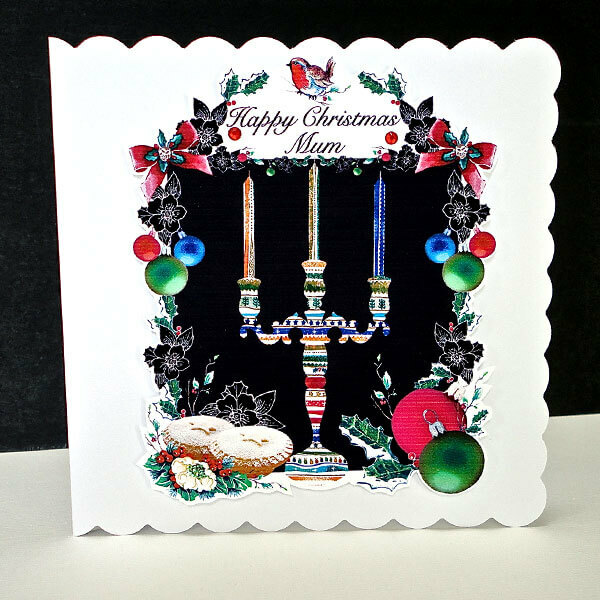 This Scene is hand cut and mounted on a printed card and finished with a clear glass gem. 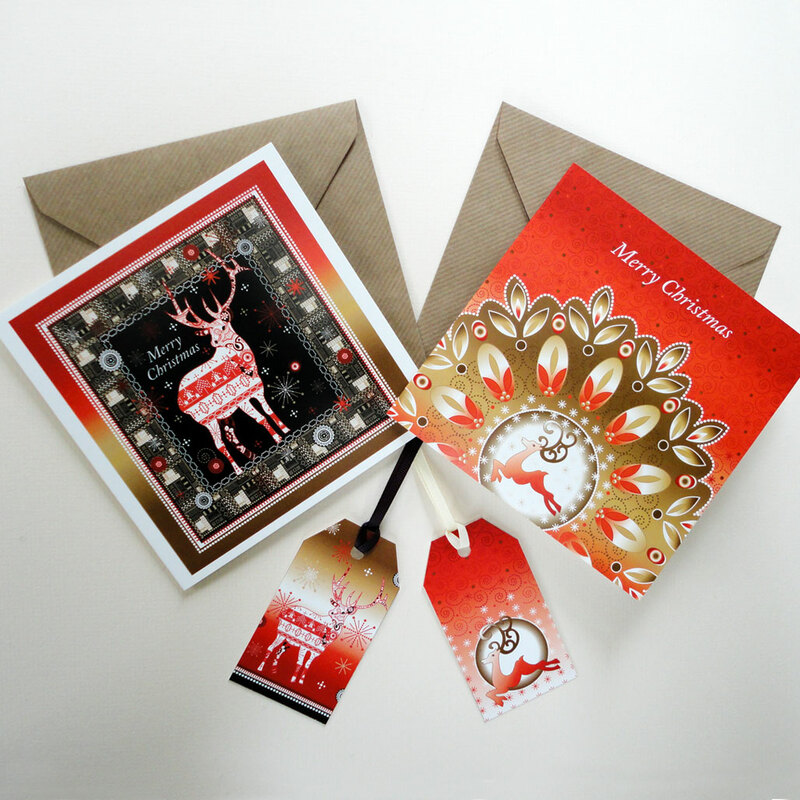 The card is 120 x 120mm with a scalloped edge in white with matching envelope.